Facebook wins the rights. Hiigh quality broadcast will be fundamental to keep the fans attached to the transmissions. World Surf League (WSL) and Facebook announced a partnership today, 24 january, that makes the social media platform the exclusive digital home for the top live events in surfing in 2018 and 2019. This includes all elite men's and women's Championship Tour events, the Qualifying Series 10,000 and Big Wave Tour events, as well as the World Junior Championships. The deal builds upon the non-exclusive live rights agreement that Facebook and WSL struck last year, in which all men's and women's Championship Tour events, as well as Big Wave Tour events, were simulcast on Facebook and WSL's website and mobile app. Aside from the significant reach on WSL channels, more than 13.9 million people watched a World Surf League event on Facebook in 2017 - and they came from countries all over the world. The top three countries in terms of unique viewers were in the U.S., Brazil and Mexico. "Facebook fosters a global community and, as surfing is a sport that celebrates and centers around community, we are proud to announce our media rights partnership with the platform," Sophie Goldschmidt, WSL CEO, said. 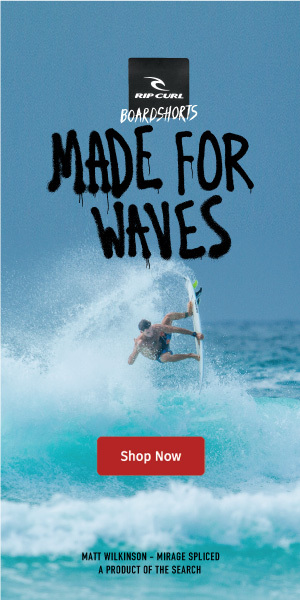 "This is game-changing for the sport in many ways and, with current and new fans front of mind, we can retain the free offering to fans, and it allows us to deliver the world's best surfing to even more people on Facebook's platform." "We're thrilled to become the exclusive home of the World Surf League's live events for the next two years," said Dan Reed, Facebook Head of Global Sports Partnerships. "This is a natural next step in our terrific partnership, which has steadily progressed over the years as the League has expertly used Facebook to distribute content and build community. This was especially true last year, when millions of fans came together on our platform to watch live surfing. We're excited to help WSL continue to serve and grow this vibrant community and usher in a new era of surf broadcasting on Facebook Watch." The shows are part of the World Surf League's robust content offering. The League produces 800 hours of live content a year across multiple disciplines as well as a wide array of static storytelling and educational content covering the sport, history, heritage and culture of surfing, which will be available on WSL platforms alongside Facebook. Times of changing for WSL and it's fans. Many questions remaining, like the quality of the broadcast, the user friendly process, of course the number of fans that have and don't have facebook, and many others!